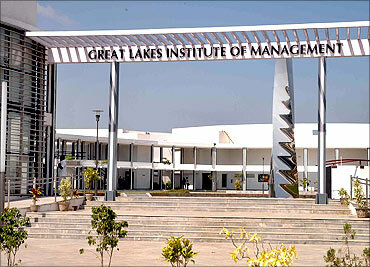 Padmashree Prof Bala V Balachandran is the founder and Dean of the Great Lakes Institute of Management, Chennai. He is also a Professor at the Kellogg Institute of Management. He has been with the Kellogg School of Management faculty from 1973. He was chairman of the Department of Accounting Information and Management from 1979 to 1983. In 1984, he became the Professor of Accounting Information and Management. His teaching career started in 1960 while he was a graduate student at Annamalai University. In 1971, he started teaching Management courses while working on his doctorate at the Carnegie-Mellon University, Pittsburgh. 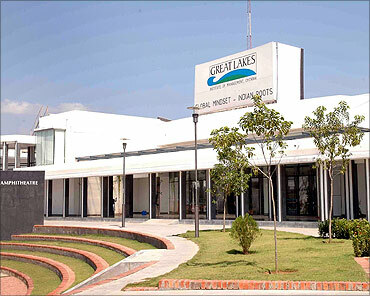 After setting up the Indian School of Business, Hyderabad, along with some like-minded people, he started his own management institute, the Great Lakes in Chennai. In this exclusive interview, he talks about his plans for Great Lakes, on entrepreneurship and many other issues. 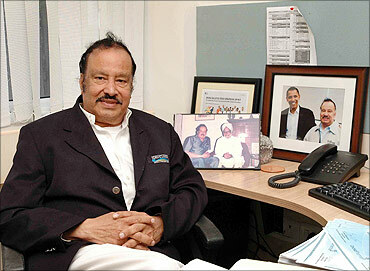 Image: Padmashree Prof Bala V Balachandran is the founder and Dean of the Great Lakes Institute of Management, Chennai. You came out of ISB to start Great Lakes in Chennai and you own 90 per cent of stake. A month ago, it was reported that you plan to sell 51 per cent of your stake to either the Godrej Foundation or Tata Foundation. Why do you plan to sell your stake? My plan was not to sell my stake. What I said was misunderstood. Telecom Minister Kapil Sibal's new policy of allowing international schools coming to India will put some of the schools at a disadvantage. IIMs will succeed but independent one-school types will not be able to compete effectively. Therefore, our board decided to have presence in 2-3 places in the west, north and east sequentially. At this age, I can handle one institution. But if you want to grow nicely and compete effectively, I need partners. 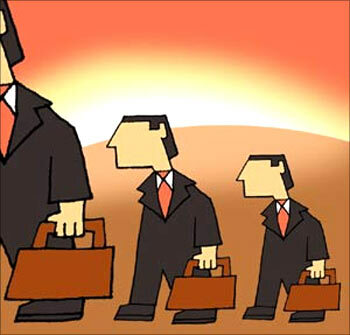 I need to have succession plans for leadership and ownership. We have identified what to do with leadership. If something happens to me, though my son is as qualified as me, he can't come and take over the institution right now. 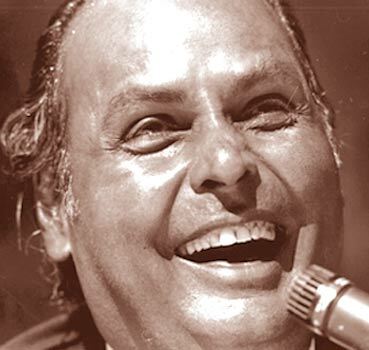 Therefore, I have to find somebody, such as Tata or Godrej, who has a reputation of serving the society, take over and run the show if something happens to me. Did you have talks with Tata or Godrej, and what was their reaction? Yes, I had talks with both of them. 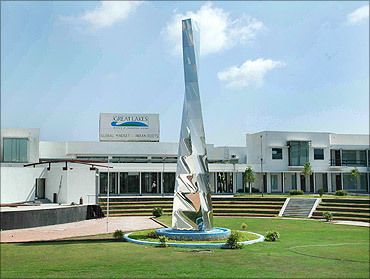 In fact, Godrej is on my board and Ratan Tata is on the advisory council of Great Lakes. I have also spoken with Narayana Murthy and Azim Premji. The response has been good. If any of them agree, it will be good. Whatever it is, somebody will step in if something happens to me. I have 90 per cent stake and how much somebody else will take is not known. If somebody has to step in, they may need control. In the next one year, I hope to have a good partner. I am exploring all avenues. I am planning to expand to other cities, so I need partners. It was also reported that you plan to take over the Mumbai Business School. I am the president of that institution. I am only helping Mahendran, who is also the deputy chairman of Great Lakes, run it, as it is not doing too well. He is a friend of mine and he asked for my help. I felt it was my duty to help my friend. Will it be another Great Lakes Institute? No. We are not going to take it over. It will remain Mumbai Business School. Later on, if it becomes big, we may think of taking over. It all depends on the board. What about the expansion of Great Lakes in the west, east and the north? Yes, we are planning to sequentially moving to various parts. In fact, we got a letter from Gujarat chief minister Narendra Modi to open a Great Lakes in Vadodara. I will seriously think about that. The chief minister of Orissa is willing to give 100 acres of land for corporate business education and he wants me to run it. I am thinking of that, too. The craze for MBA is so much in the country that there are institutions offering MBA courses in all nooks and corners of the country. What will it lead to? Ten years ago, a similar craze was there to get into an engineering college. Everybody wanted to be an engineer. The result was mushrooming of engineering colleges with no building and faculty. Now, the dust has settled. It took 10 years to demonstrate that all engineers and all engineering colleges are not equal. The same thing will happen to business schools, too. 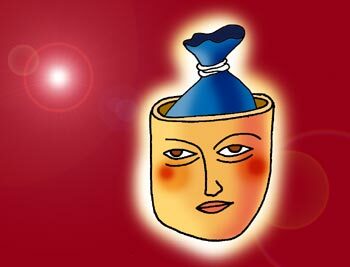 Now, it is in an ascending path and there is a craze. But what is happening is wrong because the degree name MBA will be tarnished. Some schools make all kinds of advertisements while some can't even place 20 per cent of their students. One university gives distance education in MBA and they have 30,000 students. None of them gets any job. At some point, some people will be duped. It is high time Kapil Sibal and others said enough is enough. Are these universities not cheating students who have ambitions? Yes, they are cheating, using the popularity of MBA by offering such degrees that have no value in the market. But this is the problem of the free market because unscrupulous, money-minded fellows will come up with programmes and there will be innocent people who will get cheated. What will you tell those average students who cannot get into the top schools but want to do an MBA? I will tell them: beware! You talk to previous students before deciding on a school. Or, look at any magazine that evaluates business schools. Today, Facebook, blogs, etc are creating community awareness all over the place. So, you will know who is good and who is bad, who is strong and who is weak. Yes, lousy students with money can take an MBA from these institutions. In countries like the United States, the United Kingdom, etc only experienced people are given admission to business schools, while in India fresh graduates enter business schools. What is your opinion about giving admission to fresh graduates in business schools? Fresh graduates doing MBA is not correct. The reason is that MBA is one course that does not require a BBA. Therefore, the only way to rightly study MBA is to get 2-3 years of work experience after taking a degree. This is very important to analyze a case and understand a business issue. We at Great Lakes won't take any fresh graduates. We insist on a minimum of two years' experience. The average experience in the class is three and a half years. At Kellogg, we insist on 3-4 years of experience. Even for an 18-month course, we don't take freshers, however, smart they are. I also believe that a 2-year course for an MBA is not necessary. Fifteen months is more than enough for an experienced person to take the degree. That is why I created a 1-year programme at ISB. Two years ago, when I interviewed you, you spoke of starting Agricultural Management and Energy Management at Great Lakes. Have you been able to start the courses? We have already started energy management in association with University of Houston, which is an Executive MBA programme for those with 10 years of experience. India needs energy independence. So we look at only the energy needs of India like nuclear energy, solar energy, wind energy, etc. The students study here but get a degree from the United States. Fifty per cent of the faculty will come here from Bauer College of Business, which is also a partner business school. Those who get the degrees will be the future CEOs of those companies that manage the energy needs of India. We are only talking about managing energy and not technology aspects of energy management. This course is intended for those who want to manage the energy needs of India. We are yet to start the course. I am passionate about that because I come from an agricultural family. We already have a tie up with the University of Illinois, which is one of the biggest agricultural universities in the world. This is one reason why I want to go across India. 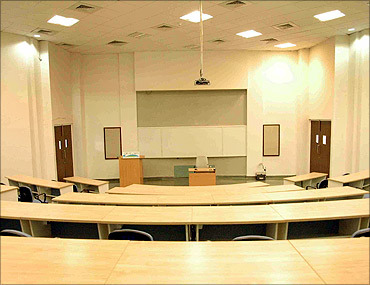 The school here in Chennai concentrates on entrepreneurship and marketing. I may make agriculture, the core competency of the school in Bhubaneswar. A Mumbai school can concentrate on finance and insurance, while a Delhi school can have public management, leadership and political management, etc, as its core strength. This way, we can have multiple disciplines located at different locations in India and each school can compliment the other. With food inflation going sky high and agriculture taking a back seat, don't you think it is high time we concentrate on agriculture management? Yes. Food preservation is one area we have to concentrate on. Almost 40-50 per cent of food goes waste because we have no storage. M S Swaminathan has created a Green Revolution. 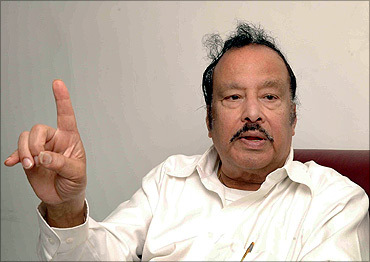 Kurien started a White Revolution. 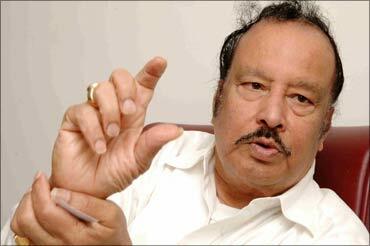 Why not Balachandran create a Brown Revolution? We can take the produce made in a field in a village to the end consumer in the shortest time. How do we do that? Israelis are extremely good in that. How do we store the agricultural produce? Technology can be used in such a way that shelf space and shelf time of perishable products can be significantly reduced. Suppose there is no infrastructure in a village where only a rickshaw can go. I want to make a rickshaw that has the cooling and air conditioning box which can take the perishable produce to the truck and transfer the content. The rickshaw can go back and fill again. This way, the time taken to bring the produce to the end consumer is reduced by 50-60 per cent. That will reduce the waste by 60 per cent. Entrepreneurs can come up with great ideas. We have to do it now. I would love to work with anybody who has this passion. Entrepreneurship is the foundation. I don't like the word, bottom of the pyramid; I would like to say, the base of the pyramid. The base of India is the agricultural rural poor. If they can be converted into entrepreneurs in their field, then the urban entrepreneurs can be converted into technopreneurs. Great Lakes had a Technopreneurship Conference recently. How different is technopreneurship from entrepreneurship? India became a success not because of economic liberalisation. It is because it opened up the entrepreneurial spirit so that many Dhirubai Ambanis can be created. That was facilitated because of IT. IT made India Today. India Today can be transformed to India Tomorrow through biotechnology, nano technology, etc. It is the technology-enabled or enhanced entrepreneurship that can create the next growth. It can activate productivity and profitability in a better way. Enabling the appropriate technology is technopreneurship. A technopreneur can create more jobs as he uses more and better technology here. Creating jobs and creating wealth is the most important thing. Wealth-creation is more important than wealth consumption. Job-creation is important and who can create jobs but an entrepreneur? For any economy, developed or developing, how important is entrepreneurship and technopreneurship? Entrepreneurship is definitely important for any economy while technopreneurship is very necessary for an emerging economy. 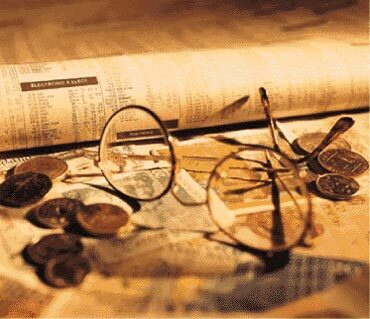 Though I consider India as an emerging economy, it has become a merging economy. In a merging economy, you should have competitive spirit with the merged economies. How can you fight a developed economy? Only through technology. Technology and knowledge, which are inherent in India, will allow us to compete with the merged economy. How good are we in technology? We are very good. Look at biotechnology, stem cell research, nanotechnolog, etc. Nanotechnology is going to rule the world. The only area where China has invested more than the US is in nanotechnology. Why are they doing it? They know that is going to rule the world. If they can do it, why can't we? We are a democracy and we are knowledge based. Democracy is conducive for creative thinking. 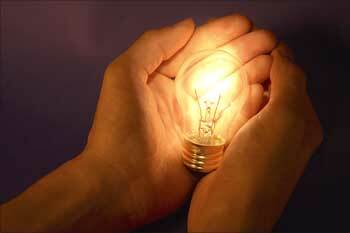 Let us use democracy in creating new ideas, new entrepreneurs, new inventions and new innovations. 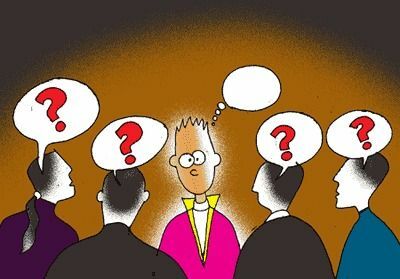 How important is the collaborative role of industry in creating innovations and inventions through entrepreneurship? I ask this question because you have industry partnership at ISB and also here at Great Lakes. Unbelievably important. We academicians are more interested in ascertaining work than practical work. Business has practical relevance. If academic and practical relevance combine, then you have tremendous synergy. That is why most of our courses are taught by not only academicians but business leaders too. So, this school will be known for blending and merging business relevance and academic relevance. How do the Indian business houses look at partnering with business schools? At last, Indian business houses are also looking at this opportunity, like their US counterparts. Look at the number of industries that have partnered with us. This trend is going to continue. Why is the US so supreme? Why are they such a big economic power? Two-thirds of the universities or business schools are in the public sector there. Who is this public sector? Nothing other than industries. And the government facilitates industries to fund the universities. You said entrepreneurship is very important for an economy. Do you feel today's youngsters are less averse to risk-taking? 1991 was a big breakthrough for India, not because of Narasimha Rao or Manmohan Singh. They opened up the power of entrepreneurship. So, today's youngsters are ready to take more risks because the sky is the limit. They are willing to chase their dreams. My goal is to have at least 10 per cent of our students go to entrepreneurship.